At ePantry, we strive to have enough automated test coverage that we can deploy with confidence, without being dogmatic about our approach. We certainly aren't a TDD shop, and we don't have rules about code coverage metrics ("no commit can reduce code coverage! "), but it's very unusual that a non-cosmetic change makes it to production without some sort of test coverage. But it wasn't a straightforward journey - our team didn't have much experience with "good" testing practices. In a few previous companies, tests if they were required at all, were viewed as a burden; "extra work" to tack on to your commit at the very end. It's actually faster to develop if you write the tests alongside your code. Clicking around in the browser reproducing bugs is slow and unreliable and not very fun. Writing tests actually catches a lot of bugs before they make it into production. I'm now physically uncomfortable deploying untested code. But it took a bit of wandering through the testing wilderness to get there. The other day at ePantry we refactored a bit of code for testability that I think provides a nice example of both the mechanics and the value of automated testing - something that I think can be tricky to understand from toy examples. The refactoring was simple, but yielded code that is easier to maintain, more composable, and (most importantly) allowed us to deploy a major feature with a high degree of confidence. Over time, the household "consumes" those shipments and we need to generate more to keep the calendar populated with future shipments. We wrote a function that would run as an overnight chron job to "top up" the shipments of all of our customers so each customer always has at least a year of shipments on the calendar. Below is a code snippet as it first appeared in our codebase, sans-tests. The code itself is simple, but it was a bit scary to deploy into production because it runs asynchronously, touches a lot of customers, and would not be easy to unwind if it ran amok. I've removed some bits of logging for clarity, but this is otherwise just as it appeared in the original commit. First we find the date in the future that we want all customers to have shipments until. This is set to 12 months in our settings file. Next we get all of the active customers (those who have a credit card on file) whose last shipment arrives before the cutoff date. These customers need more shipments generated. Finally, for each of the customers, we loop through and create shipments for each customer until the arrival date of the last shipment is past our target date. Simple! But also untested and therefore scary. We tested it locally by cloning the production database and running the function through the Django shell. It seemed to work. But that's not good enough. This is too important and too complicated to be left to manual testing. So let's write some unit tests. Now what does our top-level function look like? Piece of cake! Literally one line of code. 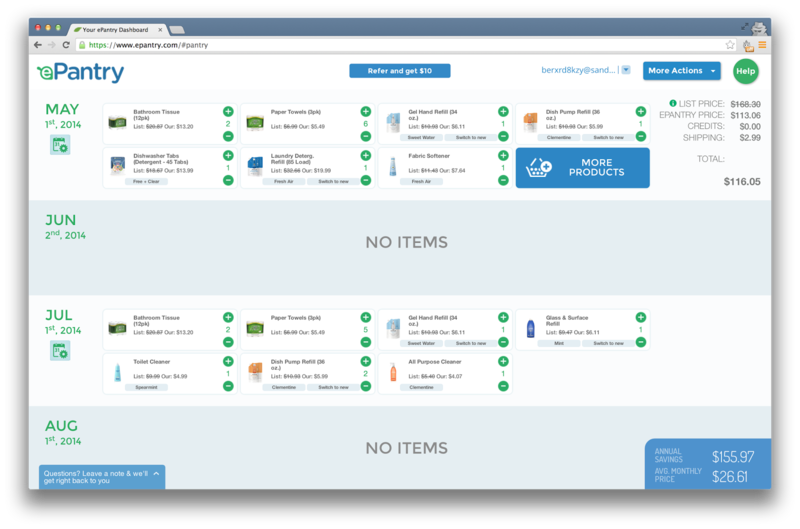 We map our _create_until function onto the collection of customers without enough shipments. All the detail is in our three component functions (note that _create_until is just a recursive loop - it could certainly be implemented in a more imperative style of that's your thing). We just need a handful of tests on these functions, and one good test on the high level function, and we gain a tremendous amount of confidence and robustness in the code. I glossed over it here, but I also discovered a few small bugs in our Django ORM query while writing the tests. Here are a few example tests, using Django's test framework and Factory Boy to create mock objects. Ta-da! Of course there are plenty of other tests you could write, but just these four basic tests exercise the code reasonably well. And it would have been virtually impossible to get this level of testing fidelity with the original function. Plus, if one of these tests fails due to a later commit, we can immediately hone in on the cause. The refactoring and tests took less than an hour, and it will save me at least that much worry. I hope you found this a useful, real world example of refactoring for testability. Love to hear any additional thoughts in the comments! P.S. This code made it into production yesterday and ran successfully for the first time last night. Phew! Also -- you should sign up for ePantry and never run out of soap or toilet paper ever again.